Hi there, welcome to Gold Retired. This short article will discouss the Top 5 Best Gold Coins for investment purpose. Coins can be tricky and it is important to be aware that there are many ripp-offs taking place when it comes to the purchase of coins (especially), rather than bars. If you are considering investing in gold, there are many gold-buying options you can choose from. These options include gold mining stocks, gold mutual funds, trade futures contract or buy a proxy for gold in for of ETF. Warning: Before we continue read this on how coin scams take place! Customers of California-based Goldline International learned that the hard way. In 2012, the company settled a 19-count criminal fraud complaint brought by the Santa Monica city attorney. In it, Goldline was charged with concealing markups and telling buyers that the government could confiscate their gold bullion, a tactic designed to stoke privacy fears and encourage investors to buy numismatic coins, which Goldline claimed were untraceable and immune to seizure. The company agreed to refund up to $4.5 million to buyers and to have a court-appointed monitor track the company’s sales practices for several years. The criminal complaint was dropped as part of the settlement; Goldline remains in business today. However, holding physical gold especially gold coins is highly recommended because they are eligible for IRA investing. Internal Revenue Services have set certain minimum requirements to regulate buying and selling of gold coins. 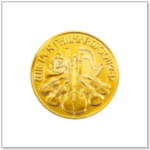 The Austrian Philharmonic gold coins have been minted since 1989 and they are a great choice either as an investment or a gift. This is the gold coin that’s the king of Europe because it is the only gold bullion that’s issued in euros and backed by the Austrian Mint. This gold coin comes in 1.0-, ½-, ¼- and 1/10- ounce sizes that have face values of 100, 50, 25 and 10 euros respectively. Over the years, these gold coins have been awarded the bestselling gold coins on earth in three separate occasions (1992, 1995 and 1996). Nowadays, they are listed as the most demanded European coin because their iteration value is 99.99% gold purity. This is the official gold bullion in the United States although it does not have the standard 24K purity required by the IRA. Instead, the American Eagle is 22K with half an ounce of gold as well as a silver-copper alloy that makes it more durable. Even though these gold coins do not meet the IRA requirements, they are very popular in Precious Metal IRA holdings. With gold purity percentage level of 99.5, these gold coins get a pass from the IRS because of these two reasons: they are the official gold bullion that’s currently produced in the US and because of their masses. Nowadays, the US Mint not only strikes these gold coins in gold but also silver and platinum. They have gained popularity over the years because the United States is a well-known producer and holder of gold. In addition, the US citizens are amongst the highest demander of gold in the entire world! These 24K gold coins are among the most recognizable and important gold coins in the world today. In addition, they are considered as the most ‘liquid’ gold coins because there are more than 40 million Gold Maple Leafs in circulation! The Canadian Maple Leaf has proven to be the purest gold bullion coins in the world today with .9999fine versions with no base alloys used in the production of the coins. Furthermore, according to the legislative requirements of Canada, all the gold must be obtained from Canadian mines. This guarantees that the gold produced from the Mint is of high quality with 99.99% gold purity. In fact, for investors who are looking for high-quality gold coins, there are 99.999% 1oz Gold Maple Leafs produced at the Royal Canadian Mint. This Royal Mint was the first government mint in the entire world to strike .9999 gold coins for transactional use. Originally, Australian Kangaroo Gold Coins were called ‘Gold Nuggets’ because the initial designs of the coins had the images of gold ore. However, since 1990, the Australian Kangaroo Gold Coins feature a different kangaroo on the reverse side each year in 1oz coins only. 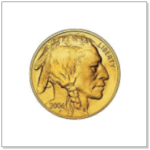 With such changes each year, these gold coins are ideal to investors and collectors too. Furthermore, Perth Mint also has ‘Lunar Series’ gold coins which alternate zodiac symbols each year. The gold Kangaroos are struck at the Perth Mint and they are the official bullion of Australia. 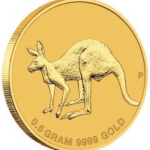 With all Kangaroo Gold coins having 99.99% gold, they are among the purest and the highest quality gold coins globally. The Gold Corporation subsidiary company was the first to strike Kangaroo Gold coins in 1986. Since then, the Australian Department of Treasury and this company maintains a unique arrangement. The arrangement allows the Gold Corporation subsidiary company to not only mint but also market platinum, silver, and gold to both collectors and investors. 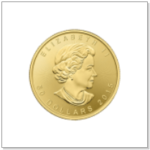 Over the years, the gold coins denominations have expanded with 2 ounces, 10 ounces and 10 kilograms sized coins! This has made the Australian Kangaroo Gold Coins among the biggest gold bullions ever struck. 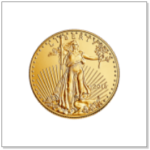 These are the only 24K gold bullion series ever released in the US to help investors and collectors who wanted a higher purity than that of Gold Eagles, and it was created in order to compete with worl gold bullion coins. It was introduced during 2006 as a tribute to the first Indian head coin minted in the year 1913. The original sculptor James Earle Fraser´s theme is followed also in this new edition. After their release, investors and collectors were really impressed and the demand was very high. In fact, The United States Mint had to halt the sale of these coins because their inventories were depleted. However, the coin resurfaced in 2005 although the coins had to be produced from US-based mines only. The West Point Mint that’s located in New York is where American Bullion coins are produced today. Coins are always given a legal tender status from their country of origin. Therefore, they can be distinguished from each other and they hold an actual value in case of a financial crisis. Finally, investing in tried and secure gold coins that are backed by stable governments is highly recommended. Therefore, if you are considering investing in gold coins, you need to gather a lot of information from reliable sources before you decide on your next move. There are legit companies that offer this top 5 coins to their clients, and more importantly, also educational material and guidance. If you want to see the ones we have given the highest rating, based on what rating they have got from their clients and also from the most well-known and trusted Review and rating sites online then you can see our top 10 list by visiting this page. 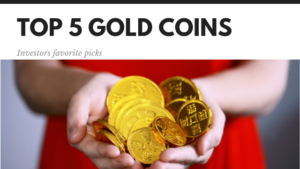 I hope you found this article on the top 5 best gold coins to be helpful and also that you would like to join the discoussion below in the comment section. Is there a coin you would like to see in the top 5 instead of the ones we have placed there? Or do you have any questions on this overall? I would be more than happy to answer them below! I would pretty much agree on this top 5 list. By the way, thank you for exposing Merit as they ripped me off big time and I lost over $25,000 to their coin scam tactics! Love your website! Keep.up the good work! First of all, thank you for your comment and also thank you for your kind Words and that you like our website. did you get any Money back from them?